Concrete Cowboy is located at 2512 Cedar Springs Rd, Dallas. 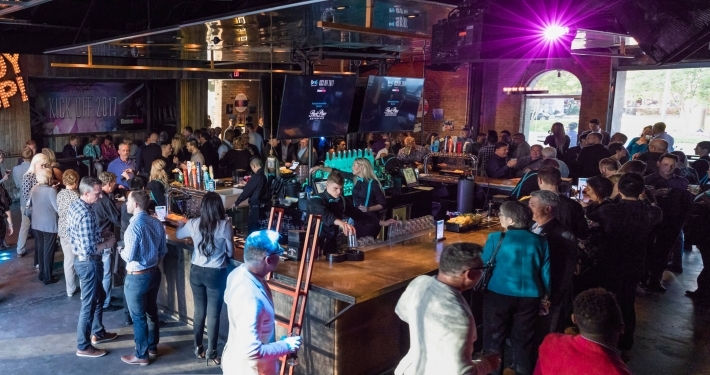 If you’re the kind of person who enjoys the atmosphere of a nightclub, but prefers the laid back feel and energy of a sports bar, then, Concrete Cowboy has it all. Located in the heart of trendy uptown Dallas; Concrete Cowboy has created a setting for which anyone can appreciate the urban surroundings with their mashups of modern and rustic design that earned them the title of, “the party bar for grownups.” There are no other clubs in the area that can provide the type of unique feel like that offered by Concrete Cowboy. It is a one of kind. When entering the club: clean lines demonstrate its feel for modern, and raw materials- such as exposed brick and rough-cut wood- lends to warm rustic. 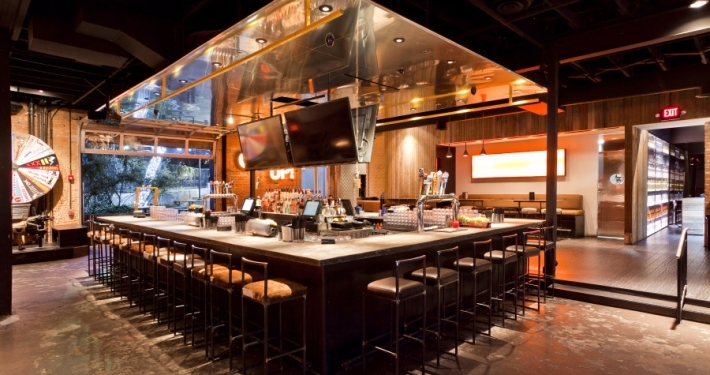 Flatscreen televisions and large projection screens give the patrons a new place to enjoy the game, while sliding, garage-style doors can lift away and make open space to the beautiful downtown scenery. If being outside is more your style: the patio at Concrete Cowboys, with 1,000 square feet of brilliantly designed space, is the perfect place for you! Smooth flowing and open, the patio sets the scene for enjoying the outdoors with friends, and is also the designated smoking area. Having a separate bar out on the patio makes it even easier to relax and unwind. 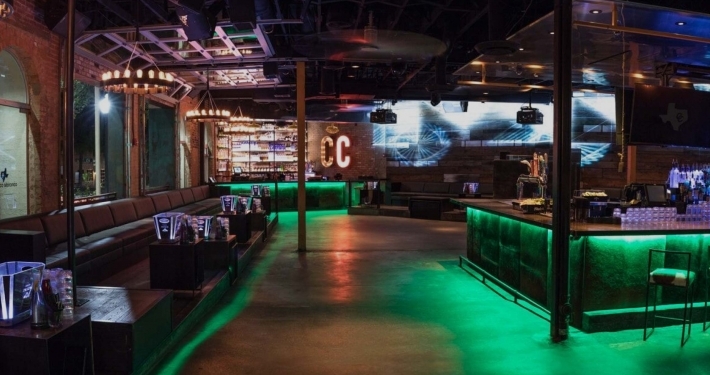 Concrete Cowboy is definitely a club unlike any other. 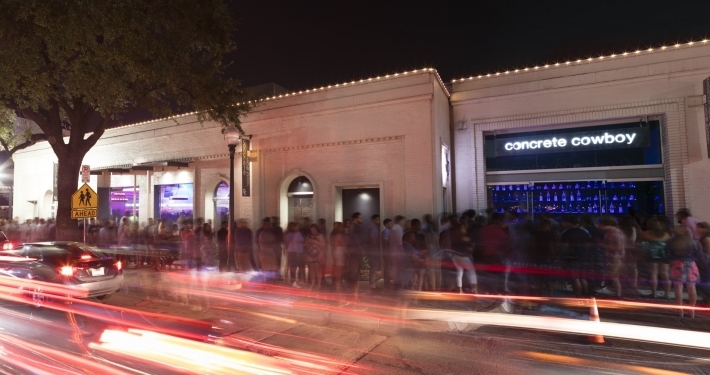 As a venue, it can accommodate up to 500 people, and is comprised of 5,000 square feet of interior space and 1,000 square feet of patio. 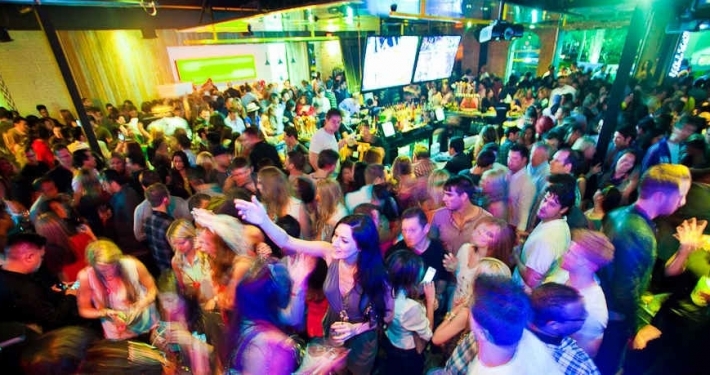 Open Friday through Sunday from 9pm-2am, Concrete Cowboy is a great place for dancing (with brilliant mixes of today’s hottest hits and upbeat house music), celebrating, and all-in-all just living life to the fullest! Where is Concrete Cowboy Dallas located? Concrete Cowboy does not charge cover. 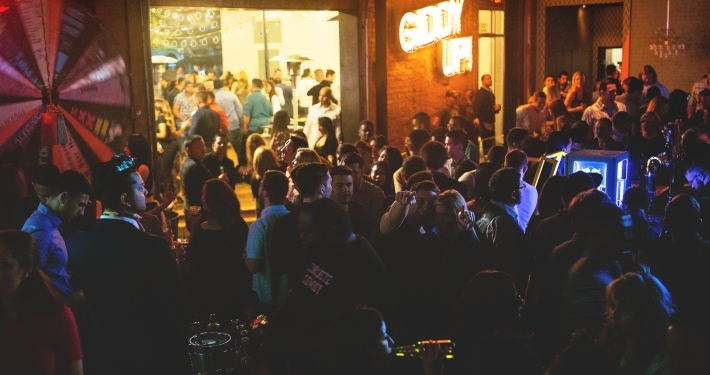 Bottle service requests are available and entry is at the doorman’s discretion. How long will I have to wait at Concrete Cowboy Dallas? Expect to wait anywhere from 20-30 min depending on when you arrive. When is Concrete Cowboy open? Concrete Cowboy is open from 9PM-2AM, Friday to Sunday. What are the best nights to go to Concrete Cowboy? All nights are good. Fridays and Saturdays will attract the most people. What is the dress code at Concrete Cowboy? Dress casual. Avoid anything that can be considered sportswear (track jackets, jerseys, sneakers, hats, etc). How much do drinks cost at Concrete Cowboy? Expect to pay 10-15 for cocktails, 300-400 for bottles. Concrete Cowboy features mostly upbeat house, top 40, with a mix of EDM and hip hop. Where can I find a list of upcoming events / DJs at Concrete Cowboy? You can download the Discotech app to see upcoming events, and book tables for Concrete Cowboy.